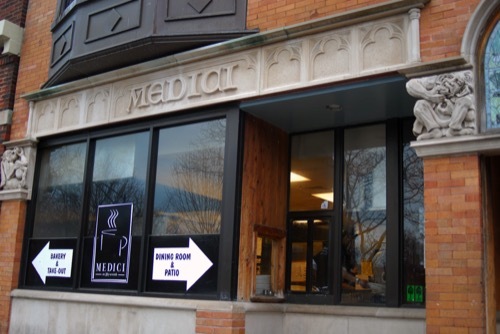 Medici on 57th is a legendary Hyde Park coffee house and restaurant that has been frequented by U of C students and locals alike since the 1950s. Solid food, pastries, and bottomless coffee in a cloistered, wood-paneled atmosphere that'll make you feel like studying something. The art collection alone is worth the trip. Combine with a visit to 57th Street Books a few doors down for a quintessential Hyde Park experience. Situated very close to the Museum, this is great place to grab a nice lunch or dinner, or a quick coffee or pastry. Italian cuisine "with a touch of tapas from Spain", plus an Argentine bakery. 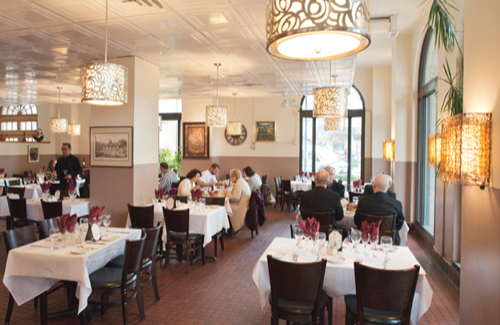 A Hyde Park fixture for 3 decades, Piccolo Mondo isn't going to change your life, but it's definitely a legit dining spot, and very convenient. This place was already a local institution, then Hyde Park resident Barack Obama was elected president, and it became legendary. There's even a sign on the wall indicating his usual order. 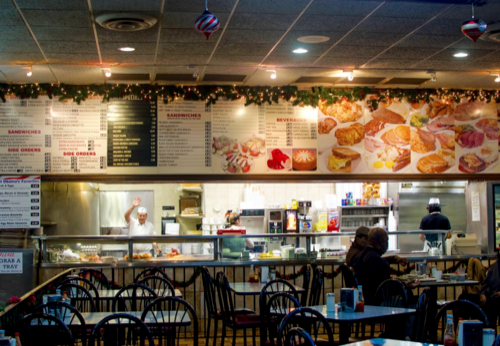 Valois (pronounced phonetically – it's NOT French) is an old-school cafeteria complete with lunch room trays and surly Greek cooks hustling you through the line. Every patron in the place looks like they live there. Head down to Hyde Park an hour before the conference and get breakfast at Valois. It's well worth it.